I fell in love with the Cumbres & Toltec when I visited the first time in 2001. Arriving at Chama that day was like stepping into a time warp. I was captivated by the old buildings and storefronts in the town. Down by the depot, the smell of coal smoke and the hiss of steam was in the air. The train yard was crowded with ancient wooden railroad cars. The water tank, coal tipple, roundhouse, and accessory structures added detail and texture. Experiencing the train ride and watching the action over the next few days got me hooked. Back at home I sent a check for membership in the Friends of the Cumbres & Toltec. Through this I learned more about the rise and fall of this particular 64 miles of narrow gauge railroad, and the unlikely and remarkable story about how it was saved by a coalition of rail fans, historians and local folks who convinced the states of Colorado and New Mexico to purchase the line in 1970. 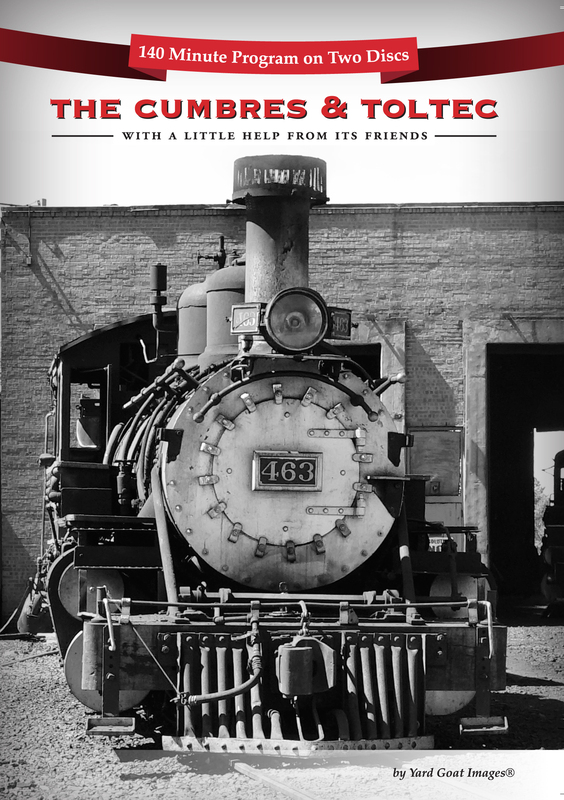 The Friends of the Cumbres & Toltec support the railroad and its historic elements by contributing funds, and more importantly, volunteer labor to restore and maintain rolling stock, trackside signs and structures, and interpret its history with its docent program. This 140-minute program shows the beauty of the narrow-gauge railroad in operation and what it takes to keep the locomotives, cars, and structures appearing just as they have in the past.